Premium Italian leather case for over/under shotgun up to 30″ barrels. Includes plush velvet lining, combination locks, soft luxurious leather finish and debossed Caesar Guerini insignias. 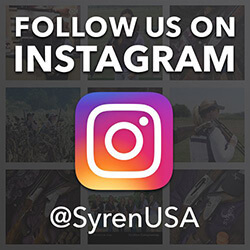 The ultimate in elegance for travel and storage of your Syren shotgun. Made in Italy by Negrini.